First, I think it's really important to stay efficient. By that, I mean I don't travel in zigzags across the city. I love Paris because it's divided up into arrondissements (think of it like large sections or neighborhoods) spiraling out from the center of the city. Regardless of whether you follow my itinerary, I highly suggest you divide your day into arrondissements and make sure you tackle them efficiently. Also, before I forget! This whole crazy adventure would not be possible with the metro, and my favorite metro card, the "Paris Visit" (I had the 2 day version). It was about 35 Euro and allowed me to travel as much as I wanted on the metro from zones 1-5 (which took me all the way to Versaille on a day trip). The metro is not that hard to figure out thanks to a few smartphone apps that luckily don't require wifi. My favorite is Google Maps, in which you can download an offline map of the city and pull up routes from one metro station to the next, all OFFLINE!! Remember, the most important thing is to pick a few major stops that you for sure want to see, and then fill in the space between those places. 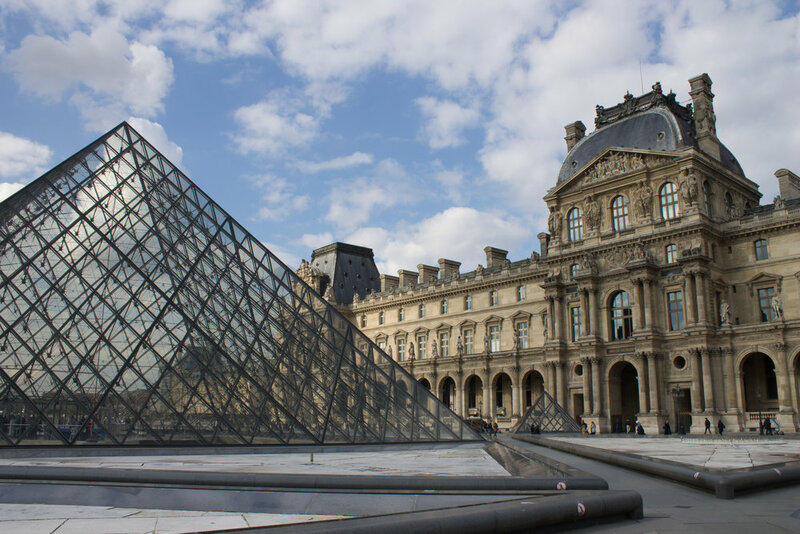 At the very heart of the city, some of the oldest and most iconic buildings make for a lovely introduction to Paris. Free! I suggest going at a time that you can hear a traditional chant service, like Vespers (Friday 5:45-6:15). It's simply incredible hearing the same music that has been sung in the cathedral for hundreds of years. An equally transporting experience is climbing to the top of Notre Dame, which costs a bit extra (10 Euros) and depends on how long the line is wrapping around the building. At the top, you can see a few bells in the bell tower (say hi to Quasimodo for me!) and enjoy the most iconic panoramic views of the city besides the Eiffel Tower. Sainte-Chapelle: 10 Euros. This small chapel is actually my favorite, not in just Paris, but in the World! I think it's a bit underrated because it is hidden away behind the Conciergerie, but with floor to ceiling stained glass windows that were just recently restored to their original glory, the entire room glows purple and the scope is just mesmerizing. I could stay there all day, seriously. Conciergerie: (I didn't actually do this one on my 48 hour trip, but I highly recommend it if you're interested in the French Revolution!) This building had so many different purposes in French History that I lost count, but also played a crucial role in the French Revolution and served as a jail for some of the most famous players in the era, including Marie Antoinette, before she faced the guillotine. Free. These three bridges are more than just a means to get to and from Île de la Cité, they're an attraction in themselves. Depending on the weather, it's a lovely place to watch the boats pass beneath you, take a few pictures and meet street musicians and vendors. Make sure you cross at least two while you're in the area. 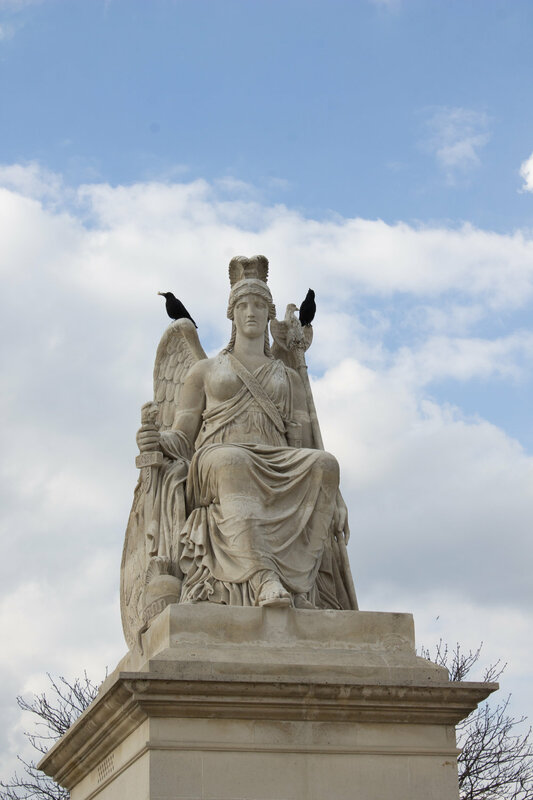 After crossing Pont Neuf, I began a long walk through my big checklist of monuments and must-sees. Jardin des Tuileries: The garden was beautiful, even in winter, sporting large statues and all the grandeur you'd expect from one of Napoleon's front yard. Walking through, you can stop and have a picnic, enjoy people watching, and even ride the giant ferris wheel. I opted to have a portrait drawn and be a total tourist, which was totally worth it. L'Orangerie: Hidden in the corner of the Jardin des Tuileries, L'Orangerie is a smaller museum that holds two custom made rooms of Monet's Water Lillies. I highly suggest taking the time to see them, even if you have to skip the rest of the museum it's so worth it. Also, free on the first Sunday of every month. Grand Palais and Petit Palais: These two museums were on my "walk-by" list, meaning it wasn't priority to go inside and absorb all of the exhibit, but I really enjoyed the architecture of the buildings and it was "on the way" so no time was lost passing by. These two are also free on the first Sunday of each month. Pont Alexandre III: This bridge is the most elaborate in all of Paris, gilded angels welcome you and the trumpets play to the boats passing on the Seine, all preceding the glory of Invalides on the other side of the river. Note: To continue on the path toward the Arc de Triomphe, you must not cross the river toward Invalides, but rather turn around and continue on Avenue Champs-Élysées. Avenue Champs-Élysées: This famous street is great for shopping if you have a large budget or want to find that one splurge item. For me, it was nice to walk down and window shop on the way to the Arc de Triomphe. Another good shopping street is Avenue Montaigne, if you prefer not to walk through Champs-Élysées or have extra time. Arc de Triomphe: A classic landmark that never seems to get old. Please don't try to cross the street, it's illegal and very dangerous. Fun fact: most car insurance doesn't cover accidents within this roundabout, so it's every man for himself. If you want to actually stand under the arc, you can enter from a metro stairwell on either side of the street and walk underground. There will be a ticket counter and it's 12 Euros to go up beneath the Arc de Triomphe. 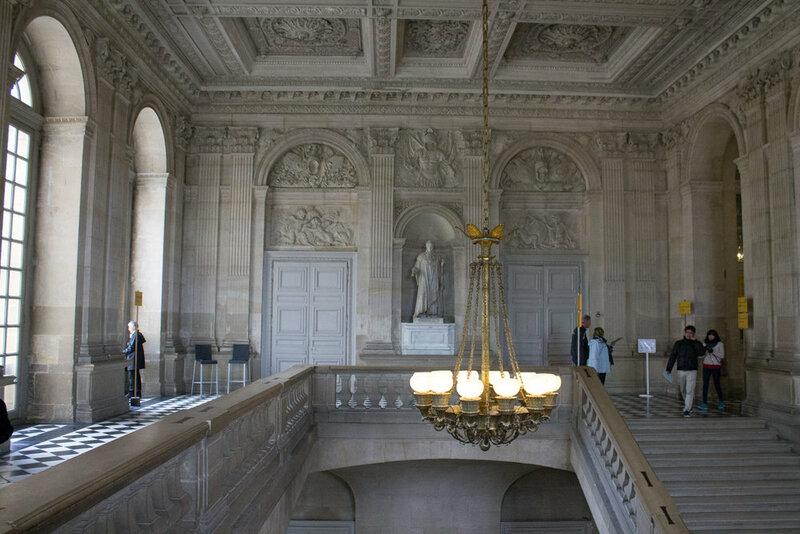 From here, take a metro to "Trocadéro"
Tour Eiffel: This was a "must-see" on my list, and I've heard a lot of travel bloggers say they'd skip it, but I personally believe in allowing myself to be a tourist and I thoroughly loved it. There are crepe vendors and a couple other food options on the ground beneath the tower, and a very expensive restaurant near the top of the tower, for which you should make a reservation if you're planning on dining there. Pricing varies: 7 Euro to take the stairs to the 2nd floor, 11 Euro to take the elevator to the 2nd floor (this is what I did on my first trip and the view was wonderful), and 17 Euro to take the elevator all the way to the top (Includes access to the 2nd floor). Not all options are available all the time. What I loved about the Eiffel Tower is the flexibility it allowed in my schedule, as it admits guests until 11 pm. I was able to go visit both days after the other sites were closed. Lovely during the day and charming at night, the Eiffel Tower has views of every major Parisian icon and lights up with sparkly, moving lights on the hour after dark. Don't worry, getting there isn't as hard as it looks. The metro will take you from wherever you're staying to a larger station where a commuter train called RER will take you to the outskirts of the city. If you have a zone 1-5 metro pass, you're already covered. 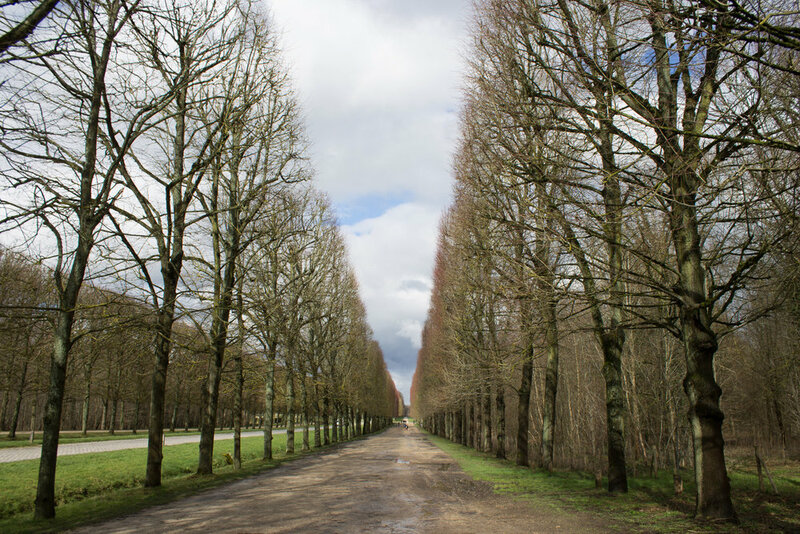 Versailles was on the very top of my "must-see" list for many reasons, and in every way it exceeded my expectations. I went in the winter and did not experience the dreaded summer crowds, so be prepared for lines if you are traveling in peak season. The entire region of Versailles is gorgeous, in ways it makes me feel like I'm walking through the what I picture Paris might have looked like in the past. The streets are smaller and I enjoyed winding through buying cheese and macaroons before and after I visited the palace. The palace is the essence of grandeur and extravagance, each room filled with posh amenities and artwork, every inch covered in symbolism and indulgence. There's a lovely cafe Angelina, which has famous drinking chocolate (one is enough to share) and pastries, as well as sandwiches for lunch. I bought a ticket that included the entire Château (which is HUGE, by the way) for 27 Euros, so after the main palace I walked out into the garden and spent a while just wandering around on the way to the Trianon, the many hidden fountains and sculptures, stables, and, my favorite, Marie Antoinette's Hamlet. Basically, Marie Antoinette saw a painting of a rural Norman village she loved and asked for it to be built in the backyard of the palace for her and her children to have a spot to relax. It's picturesque to say the least. Take the metro back to "Pigalle"
From the Pigalle metro station, you can take the funicular railroad up the hill to Montmartre. This is included in the Paris Visite metro pass and is especially nice if your legs are tired (which they will be). Place Pigalle: This square offers a view of many cabarets, including the famous Moulin Rouge, however, I wouldn't hang around too late at night, especially if you are traveling solo. Basilica Sacre-Cœur: This huge domed basilica can be seen from many spots in Paris, but is even more impressive from the inside where it is covered with thousands of mosaic tiles that depict a scene of the Trinity being worshiped by every tribe and tongue. The artistry and detail in the mosaic is absolutely breathtaking. Again, since this is a working church, if you come at the right time you may hear chant sung services resonating in the domed ceiling. Outside of Sacre-Cœur there's usually an accordion player and someone selling candied nuts, so you walk out of the basilica and feel as if you've walked into a stereotypical Parisian movie to the tune of "La Vie en Rose." The front steps of the basilica offer an intoxicating view of the Eiffel Tower and is my favorite place to watch the sunset. Place Du Tertre: This square boasts a lovely collection of vendors at the right time, as well as artists, cafes and bistros. An easy place to splurge on a painting of Paris, while people watching, if that's your style. So, did I pack enough into 48 hours? Personally, I left feeling very accomplished. 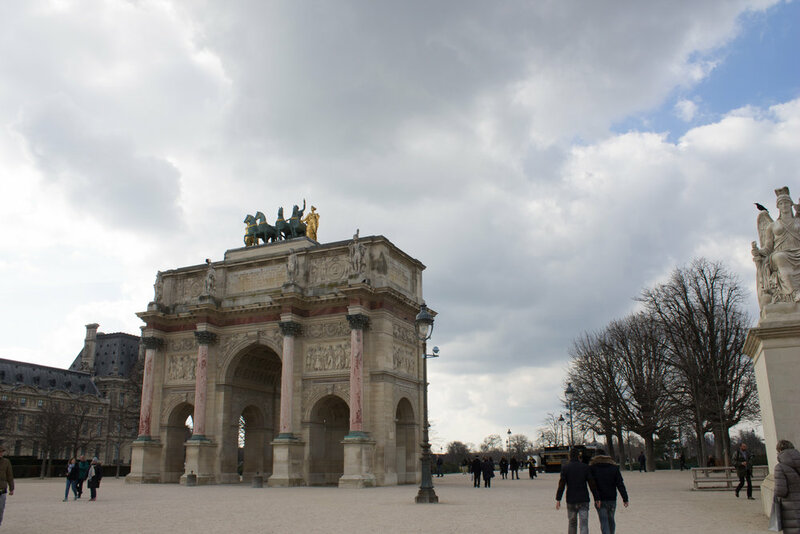 I felt like I saw Paris, like I really got to experience a variety of sites and attractions and stayed within my budget too! Of course, 2 days is only the beginning of a lifetime love affair with the city, and I'm always dreaming about going back. What do you think? Are there some places that you would add or take away from this list? Better apps or favorite restaurants? Let me know in the comments! And if you have any questions, please ask away!